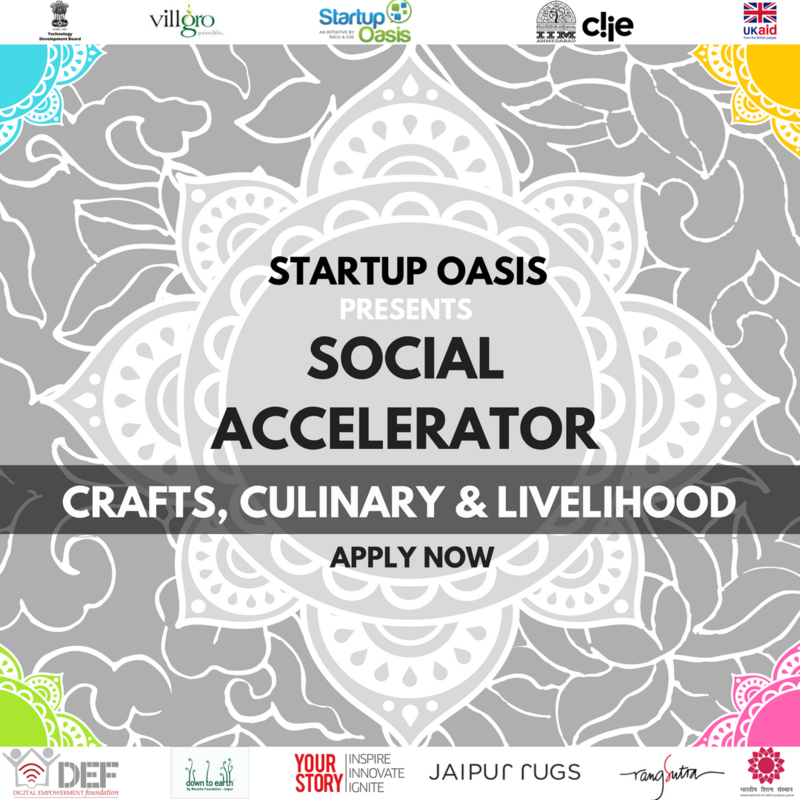 Startup Oasis, CIIE, launches India's first Social Accelerator Programme on 'Crafts, Culinary, and Livelihood'. The programme is a part of Department For International Development (DFID), Technology Development Board (TDB) and Villgro supported programme called Innovative Ventures and Technologies for Development (INVENT). The programme is a three-month accelerator programme for early-stage social impact start-ups engaged in crafts, culinary or livelihood sectors. These social start-ups are in the business of ‘change making’ through their for-profit endeavors. The objective of the programme is to bridge the current gaps, build capacity and facilitate a lavish platform for cross-learning and collaborations, where these start-ups become funding-ready. Last date to apply is 12th June 2018.